With the arrival of spring, consumers are encouraged to add a very important item to their spring cleaning to-do list: organizing their finances. 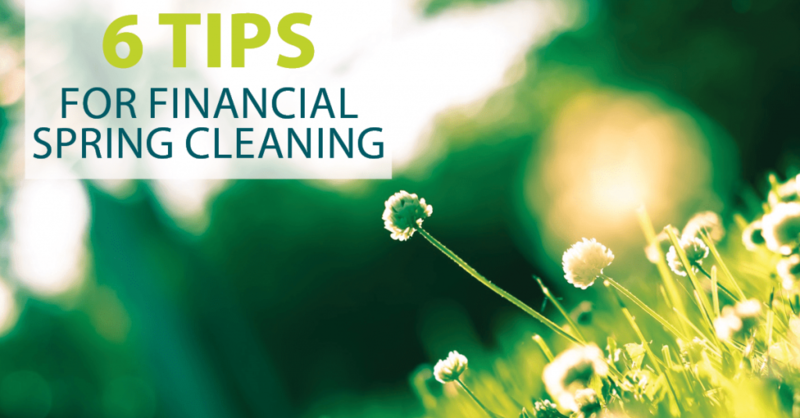 As you kick off the spring season by cleaning, sorting, and tidying up around the house, don’t forget to rearrange your financial house. A lot can change in a year. If you’ve been promoted, had a child, or become a new homeowner or renter, be sure to update your budget. Determine what expenses demand the most money and identify areas where you can realistically cut back. Develop a strategy for spending and saving – and stick to it. In addition to the “Budget Boss” webinar available on our website, our trusted partner, Budget Ninjas, offers a multitude of budgeting tools and resources for free. Evaluate and pay down debt. Take a look at how much you owe and what you are paying in interest. Begin paying off existing debt, whether that’s by chipping away at loans with the highest interest rates or eliminating smaller debt first. Contact your Account Specialist at Christian Credit Counselors to add any new or existing debt that you may have left off the program to your debt consolidation plan. By paying recurring bills automatically on the same day each month, you’ll never have to worry about a missed payment impacting your credit score. Plan out your automatic payments to ensure your checking account has an adequate amount of funds when the payments are scheduled to be withdrawn. About 40% of Americans are positioned to cover a $400 emergency expense. You can prepare by opening or adding to a savings account that serves as an “emergency fund.” Ideally, it should hold about three to six months of living expenses in case of sudden financial hardships like losing your job or having to replace your car. Sign up for e-statements, paperless billing, and text alerts. Converting to paperless billing will help keep your house—physical and financial—more clean and organized, and will help protect you from fraud. Manage your money on the go. Utilize your bank’s mobile app to check your balance, pay your bills, transfer funds, deposit a check and send money to friends from wherever you are. Every year, you are guaranteed one free credit report from each of the three credit bureaus. Take advantage of these free reports and check them for any possible errors. Mistakes can drag down your score and prevent you from getting a loan, or cause you to pay a higher than necessary interest rate.